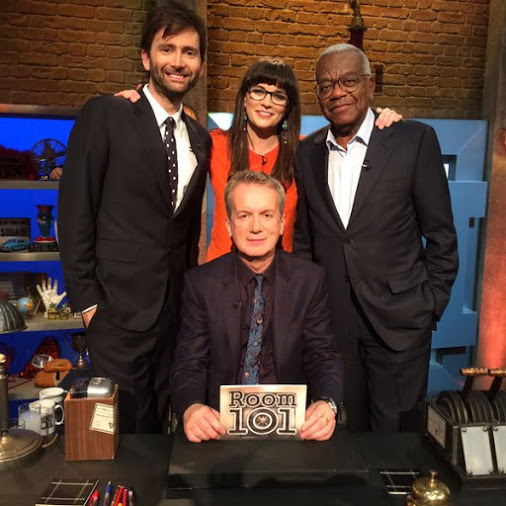 David Tennant was a guest on the BBC One television show Room 101. He recorded the show on Tuesday 27th October at Elstree Studios in Hertfordshire. The other guests appearing with David were Irish actress / comedian Aisling Bea and news broadcaster Sir Trevor McDonald. David Tennant's episode of Room 101 was broadcast on BBC One on Thursday 14th January 2016 at 8.30pm. Room 101 - Extra Storage has now been restored to the television schedule for tonight but at the slightly later time of 10.40pm.